This global insurance company is looking to enhance their European operation with the addition of a qualified Life Actuary. Principal tasks will include analysing and reviewing local embedded value calculation and consolidating Group results. You will also develop guidelines for life actuarial balances, Embedded Value and pricing / product approval. Additional responsibilities will include reporting work, active involvement in lobbying initiatives, strategic projects (M&A, business steering), and interaction with other Group functions. 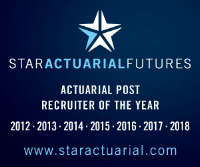 The ideal candidate will be a fully qualified actuary with significant experience in the life insurance market. Very good knowledge of market consistent principles and valuation is a pre-requisite. Experience with product development, pricing and/or reserving within life insurance will be advantageous.